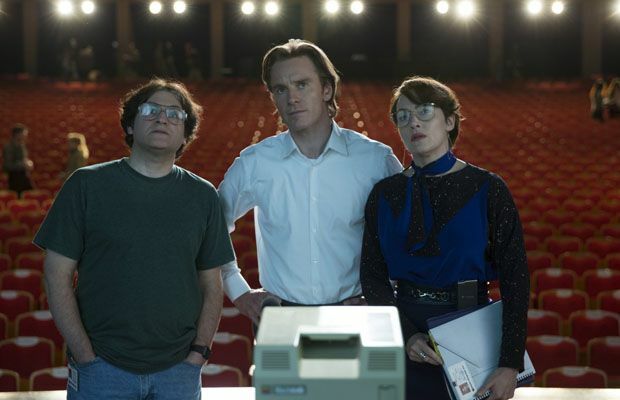 Unflattering but impressively multifaceted portrait of Apple co-founder Steve Jobs (Fassbender), centring on three key product launches: the Macintosh, the NeXT and the iMac. Boyle and Sorkin whip up genuine suspense, and the cast (Winslet, Daniels, Rogen) perform with furious conviction, with Fassbender unearthing the guilt-ridden and damaged man beneath the arrogant facade. Michael Fassbender to play Steve Jobs? Danny Boyle, Leonardo DiCaprio for Steve Jobs movie?